The Tithe Map of 1839, detailing 'Chirk Castle Gardens'. The water feature with an island (identified as a triangular canal on this map) is referred to in 'Chirk Castle accounts A.D. 1666-1753'. The mound, wooded by this period, is marked '563'. 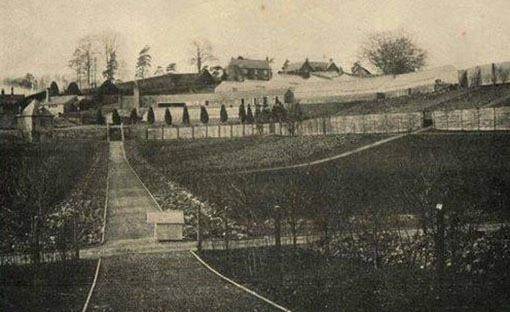 Terraced south facing walls – early 20th century. In the late 19th/early 20th century the gardens were productive. A Mackenzie & Moncur vinery was added c.1912. 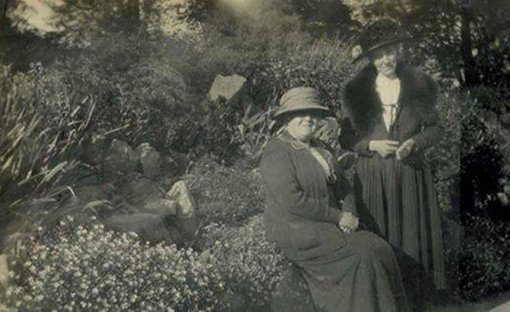 Enjoying Whitehurst Gardens – c.1913. Sitting is Mrs Squire, housekeeper at Chirk Castle. Standing is Mrs Vert. 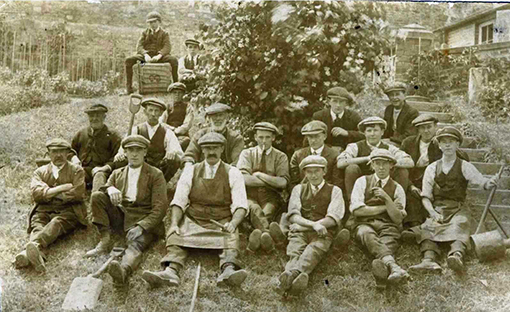 Whitehurst Gardeners – early 20th century. 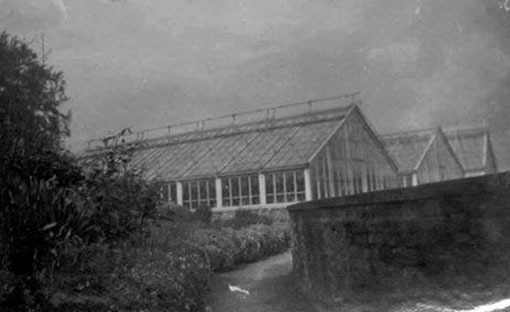 Approaching the glass houses – mid 20th century. 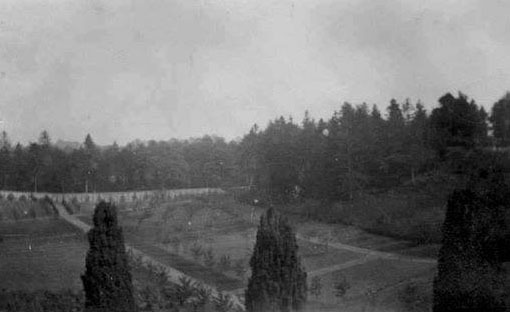 A view of the rear outer wall – early 20th century. In the distance you can see Halton Wood, part of the former deer park known as Black Park. Despite much deforestation during the area's coal mining era, Halton Woods still survive as pictured. OS Map of 1873 (First Edition). This depicts the mount, terraces, fruit walls and buildings of the garden in much more detail. However, note that there is no sign of the water feature, although the footpaths seem to preserve its triangular shape. A Family Photo. 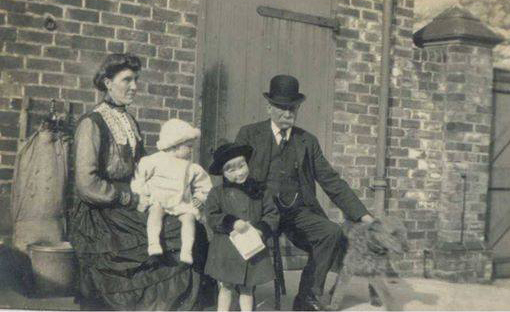 Mr James Vert, head gardener for Lord Howard de Walden at Chirk Castle, 1912 to 1924, and his family (children, from left, Harry and Audley) outside their house at Whitehurst Gardens. 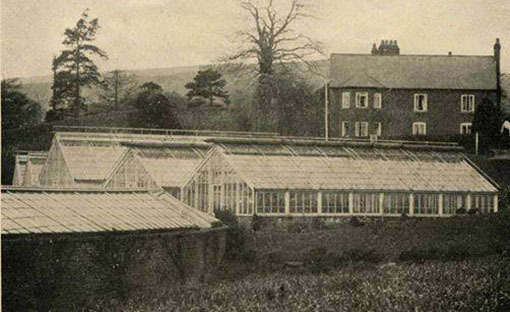 The head gardener's house – early 20th century. Mr Vert's house is now a private residence. The glass houses are ruinous. 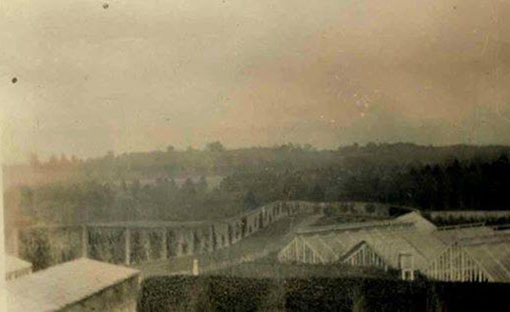 View towards the Mount – early 20th century. 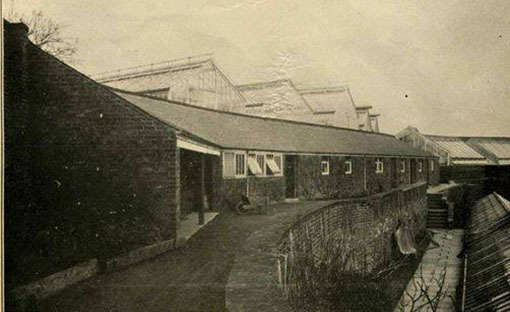 Garden bothies and potting sheds – early 20th century. 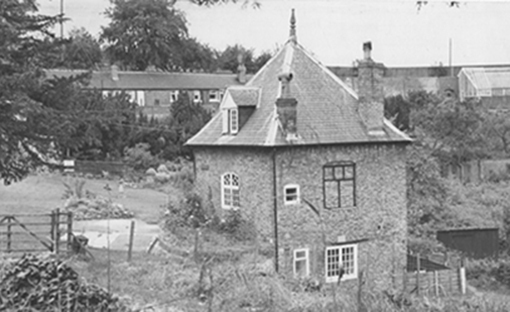 Queen Anne's Cottage – mid 20th century. The Grade II* Queen Anne Cottage may have been a banqueting house, whilst the Grade II Whitehurst House may have once been an orangery. Both are now private residences.